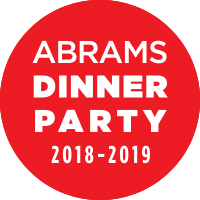 This week is the 98th annual Children's Book Week, and I'm celebrating the event by featuring books geared to young adult and middle grade readers that were (or will be) published in March, April, and May of 2017. Last week, I recommended 8 books that included a little magic or fantasy. Today, I recommend 6 books set in the real world and focusing on contemporary themes that concern young readers. When Dimple Met Rishi by Sandhya Menon (Simon Pulse; May): This rom-com for teens explores the dilemma of respecting cultural tradition in a tech-filled twenty-first century. Now that young women fashion their own futures, are arranged relationships doomed before they even start? This is novel offers both great escape and a look at family, cultural expectations, and modern love. 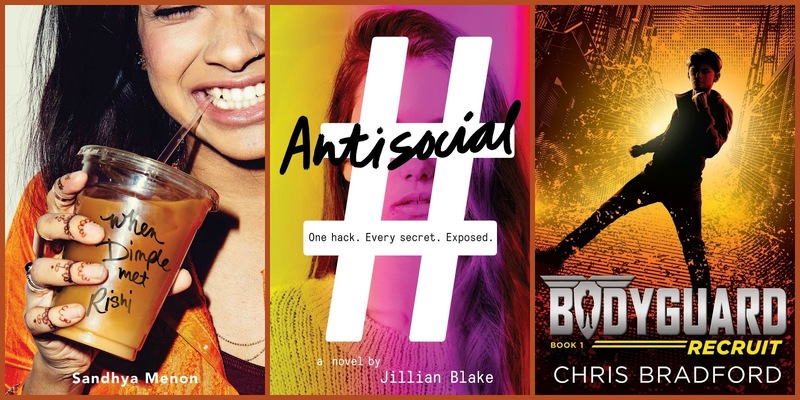 Antisocial by Jillian Blake (Delacorte Press; May): The social structure of a prep school is turned upside down when the cool kids' phones are hacked and photos, texts, and emails are made public. While the students are humiliated and relationships are shattered, one girl tries to bury her secrets while protecting her friends. This book asks, What are consequences of our always-online lives? Bodyguard: Recruit by Chris Bradford (Philomel Books; May): A teenage kickboxing champ is recruited by the government and trained to be the bodyguard for the president's fun-loving and sometimes reckless daughter. This action-packed story is the first in a new series and provides an accurate picture of what it's like to be a professional bodyguard. Speed of Life by Carol Weston (Sourcebooks Jabberwocky; April): When Sofia needed someone to talk to, she turned to teen advice columist "Dear Kate." Imagine her distress after she learns her widowed father started dating the very woman who knows all her secrets. This novel looks at families, grief, and trust. 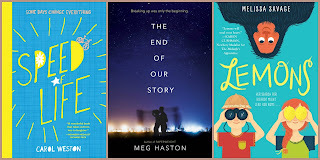 The End of Our Story by Meg Haston (HarperTeen; April): Set in Florida, this book explores what happens when two teens are reunited after a family crisis. Although they've changed over their year-long breakup, can Bridge and Wil once again find common ground? And if so, will they be friends or sweethearts? Lemons by Melissa Savage (Crown Books for Young Readers; May): Lemonade Liberty Witt has trouble seeing the positive when she moves in with her estranged grandfather after her mother's death. But then she meets 11-year-old Tobin, a Bigfoot nerd, who asks her to help with his investigations. Themes of friendship, grief, and family are lightened by a big dose of humor. Note: Books featured for Children's Book Week represent only those titles that came to my attention through a variety of avenues. They are also books I've had a chance to look through or read (print, audio, or ebook). 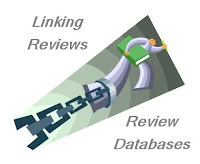 I'm grateful to the publishers and other agencies that provided copies of these books for my honest opinion in a review or feature. These are the kinds of children's books I love! Thanks for bringing these books to our attention. Enjoy...and thanks for visiting my blog. Antisocial seems SO timely and looks like it would be a fun read too. I bet a lot of teens could really relate to it!